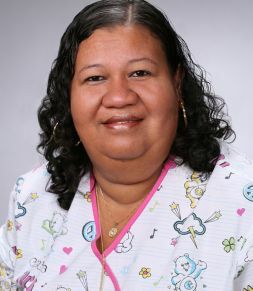 Elizabeth “Liz” Gillett is a Certified Nurse Assistant and certified Home Health Aide who has worked as a caregiver for nearly 20 years. Liz joined Complete In-Home Care (CHC) in 2014. Her broad experience includes working with Alzheimer’s, Parkinson’s, dementia, cancer, stroke, and hospice patients. She is also proficient in CPR (cardiopulmonary resuscitation) and first aid. Her combined expertise and caring approach have made Liz a favorite with our clients and their families. She was previously recognized as caregiver of the month in April 2015. During her career, Liz has worked with many other caregivers and is well-respected in her field. She is an excellent team leader, team player, and source of referrals to other high-quality caregivers for CHC. Outside work, she enjoys spending time with her children — including visits from her oldest son, who is deployed with the U.S. Navy.